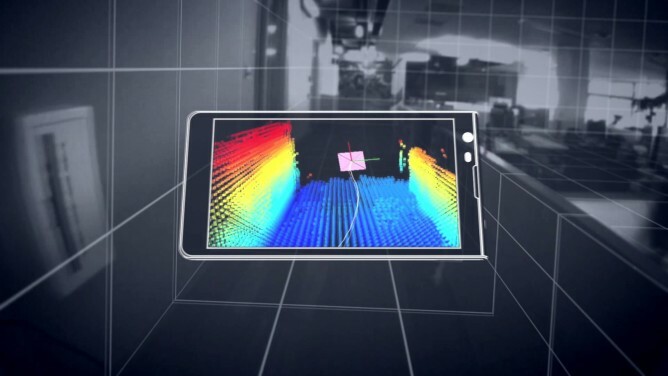 Google recently dropped the price of the Project Tango developer tablet to $512, but there was no new hardware announced at I/O. Qualcomm just can't contain itself any longer, apparently. The chip maker has announced a new piece of Tango hardware is on the way, and it's powered by the Snapdragon 810 [insert overheating joke]. The Tango tablet runs on a Tegra K1 processor with 4GB of RAM. It has a bevvy of sensors that give it the ability to sense the environment around it in 3D. The form factor and software are secondary in this case—Tango dev hardware is all about the sensors, and now those sensors will be in a phone. There was a limited-run Tango phone back when the project was announced, but this Qualcomm dev kit might be the first one that your average developer can get his or her hands on. This device (which we have no pictures of just yet) will give developers access to features of the 810 like the Hexagon DSP and Vuforia 3D vision platform. The device will be out this summer for an undisclosed price.